Staff and trustees of World Land Trust (WLT) personally thanked many of the Trust’s loyal supporters and fundraisers at the Trust’s annual winter gathering on 4 December 2014. The reception took place at Rainforest Cafe on London’s Shaftesbury Avenue. Rainforest Cafe has been a committed supporter of WLT for very many years and we are extremely grateful for the free use of their ‘forest floor’. Thanks also to WLT Council Member, Robert Giles who sponsored the refreshments at the event. During the evening, WLT’s Chair of Trustees, Simon Lyster acknowledged the tremendous contribution of the Trust’s donors and supporters, board members and staff. Four Anniversary Fundraisers attended the event: Winston Wolfrider, who raised more than £2,000 by travelling across the USA on six dollars a day, Steve Ware, who raised more than £1,000 after completing 1,000 pushups in two hours, and Alex and George (two of a team of three Greek Marathon runners who raised more than £3,000 in memory of Chris Garidis. 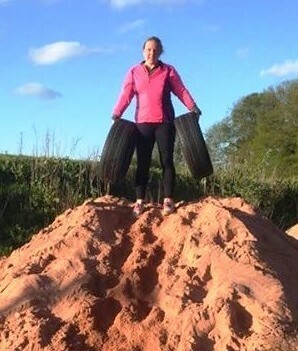 Other fundraisers were also there, including Roger Auster, who space-hopped the length of Gwithian Beach in Cornwall and broke a world record at the same time, and Dave Scott who ran a half marathon dressed as Elvis. 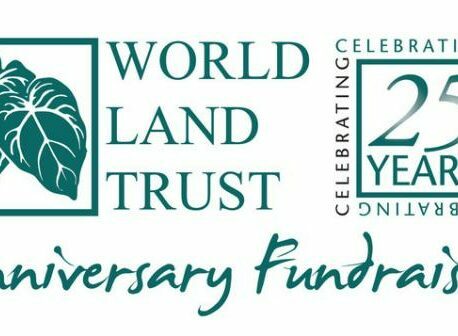 If you would like to help raise funds for World Land Trust please contact Karen Lowe or Julia Warnes on (01986) 874422 or by email klowe@worldlandtrust.org or jwarnes@worldlandtrust.org.